Children run on seemingly boundless reserves of energy, staying from the house to the school and to their recreation grounds. Compared with adults, active children tend to retain heat more easily, thus lose more fluids in the body more quickly. The rainy season also causes rapid changes in the body’s temperature, which makes children more susceptible to fever, exhaustion, and dehydration. This is why despite the cooler season, it is still important to keep them as hydrated as they are during summer time. Clean and safe drinking water is always the best go-to for hydration. However, since kids today are fussy with their drinks, parents should opt to give them a healthy alternative that comes as the closest thing to water. Coconut water is an all-natural isotonic beverage containing electrolytes, which aid in replenishing lost liquids in the body, faster than any other liquid. It contains essential vitamins and minerals needed by children, such as more Potassium content than bananas; Iron, and Magnesium that are helpful for a boost in Calcium absorption of the body, and nervous system and muscle functions. It also improves metabolism, and is a great antioxidant to flush out body toxins. Because we only want the best for our children, it’s time to shun away beverages that may quench thirst, but only contain empty calories and lack nutritional values. 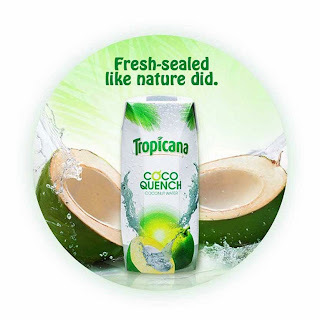 Tropicana Coco Quench is the first locally produced coconut water drink in Tetra Pak packaging. The Tetra Pak technology ensures that the nutrients found in real coconut fruit are retained inside the drink. This nature’s drink will surely pass the children’s demand for a delicious beverage, as it has the natural sweet taste of the coconut fruit. Not to worry, as it’s low in calorie and sugar, and without fat and cholesterol. Start introducing a healthy lifestyle to your children through coconut water by serving it to the whole family during mealtime. Filled with nutritional benefits, plus its delicious taste, kids will keep coming back to this healthy drink. 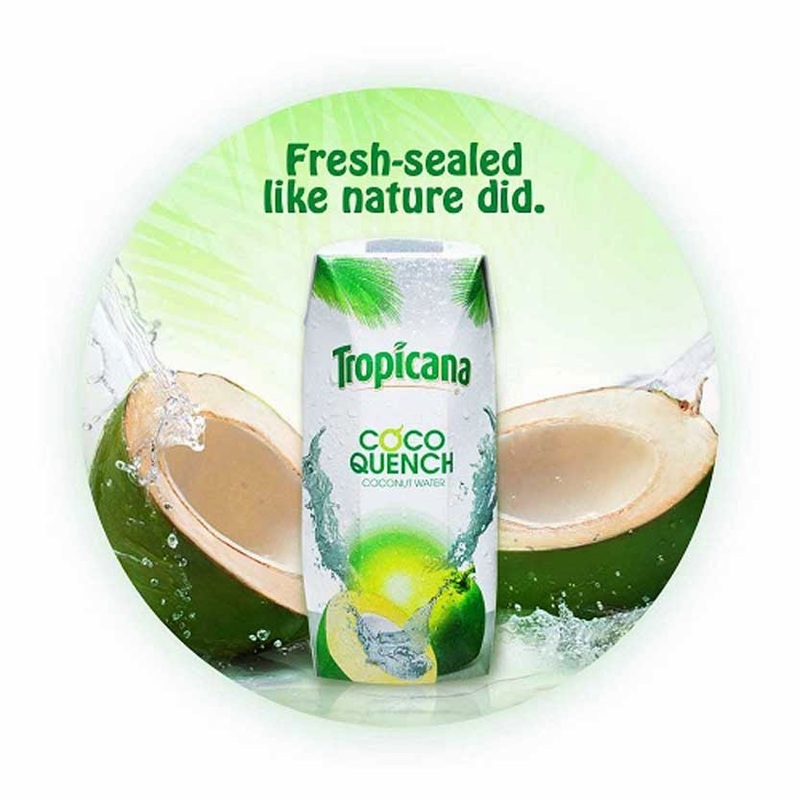 Tropicana Coco Quench is available in 1L pack perfect to serve at home, and in a 330ml ready-to-drink pack.